I'm not sure we will ever get away from the shambolic scheduling or the horrendous Hundred but the County Championship is one of the finest competitions in sport. It is the competition that the players want to win more than any other and it needs protecting by the ECB, not being tinkered with. Recent years have shown us that there is too much meddling with our four day game with most of it played at the beginning or the end of the year. Tosses, divisions of eight and ten, two runs for a no ball and plenty more. Despite this, as a competition, it is up there as one of the best in sport. I believe that it has actually had a renaissance in recent years with the counties streaming the games and excellent BBC commentary providing the backdrop. It is no wonder the likes of Dave Bracegirdle, Kevin Hand, Martin Emmerson, David Townsend and Co have become household names. Dave Callaghan at Yorkshire, who sadly passed away earlier this year, was a legend in the North and the Beeb do an outstanding job. They are bringing the game back to the people and there is a demand for it. Looking back at my childhood, cricket on television was a huge part of my interest in the game. 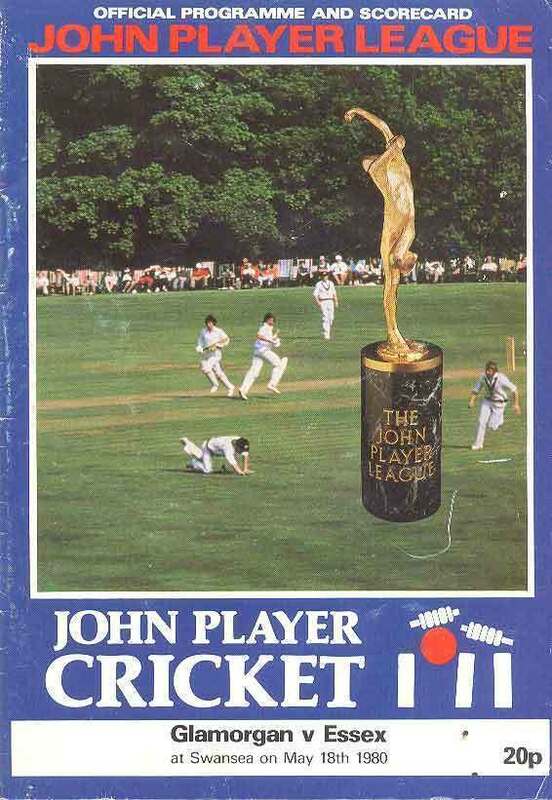 Never mind the Test stuff, which was the icing on the licence fee, it was a Benson and Hedges game from Derby or a John Player League game from Taunton that was new, it was different and had me glued to the screen. Players who were nowhere near the England team would be stars for the day. Less Colin Cowdrey or Milburn and more Colin Tunnicliffe or Dredge. 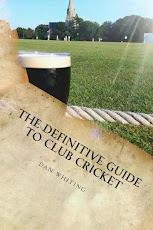 It helped to start a lifelong love with the game and it made me want to go to Lord's. A trip to the family in Somerset had me begging my uncle to take me to a JPL game at Weston Super Mare. Yes Richards, Botham and Garner were the star acts but Dennis Breakwell and "Dasher" Denning were as much a part of it, for a nine year old child. The likes of Rodney Ontong, Brian Brain, Norman Featherstone, Brian "Lager" Hardie and John Rice were discussed amongst us, maybe not as much as Liam Brady and Glenn Hoddle, but they were still worthy of a discussion to primary school kids. You wonder if that is still the case for good county professionals? Even now, at our club over a weekend, there is plenty of discussion about the County Championship, even if we hardly ever get to go and watch it. Then again, we are of a generation who were brought up with the game on television. So when I read about the ECB spending £6 million on marketing the Hundred, you really wonder if it is necessary? You wonder why not so many children are taking up the game as there used to be and you worry for the future of the longer format. Even a small amount invested into red ball cricket, would be an excellent investment into the long term future of the game. With streaming now, the figures are huge. Somerset versus Lancashire the other week had a huge viewing audience. There is a genuine interest in the County Championship, even if attendances are small. This is because most of us are at work or at school but it doesn't mean to say we don't follow what is going on. Streaming, Youtube and other ways of watching the game means that there is always a chance that you can catch some of the action. So why not put on a highlights show? Once a week, let's get a modern day Peter West or Tony Lewis to put on a one hour show, offering us the highlights of the County Championship. It would bring in audiences who would fall back in love with the longer format. It might even make our Test team better too with a premium on the four or five day game, instead of being discarded to the cricketing equivalent of the League Cup in football. What would the rights cost? Not a lot, I should imagine. You already have the fixed cameras, you already have the commentary so how hard could it be, logistically? Put it on BBC2 on a Monday night at 8pm and to me, Paxman and University Challenge are history. Surely it is better than yet another repeat of Mrs Brown's Boys? For many of us genuine cricket fans, the new scheduling and the Hundred is dystopia. 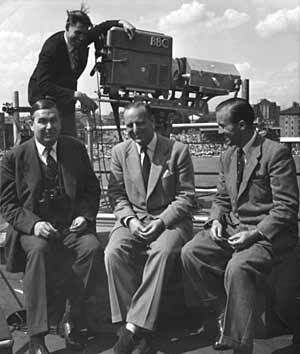 A highlights show once a week of the four day game, would be county cricket utopia. We don't ask for much. There is a link between media and sport and they can work in tandem with each other, enhancing interest in our beautiful game. Have been advocating a match of the day type highlights programme for the county championship for many years now. It has always seemed so obvious to me. Thanks Tony. One day...in our dreams hey?